redBus.in has a rich combination of numerous 1star hotels in Bhelupur safeguarding your comfort and requirement from beginning of your trip till your exit. Keeping your budget in mind we provide a wide range of 1 star budget hotels granting unmatched services and meticulous attention to guest's concerns. 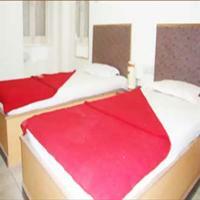 Quality accommodation is available at low rates in Bhelupur, specifying an enjoyable stay throughout your trip.